Officially reveal and celebrate the UFO/ET/Comic Life Reality so Humanity-Earth can take its first step into a much bigger universe that is teaming with intelligent cosmic life and the frontiers of discovery and knowledge that awaits us on other worlds. review "best in class" cases, facts, evidence, witnesses, and more. The panel will then use the appropriate application of either the scientific method, technological and engineering analysis, or legal methodology to answer the 3-primary questions. The CLE will disseminate the panel's official findings to as much of the world as may be possible. Cosmic Sciences International™ (CSI) is a nonprofit, international organization that welcomes serious-minded scientists, technical experts and professionals across a multitude of industries, disciplines and specialties. CSI's job is to ensure a top CLE Team and Blue Ribbon Panel is provided to the project. CSI was founded to support space sciences and exploration as well as promote greater respect for "the scientific method" in an effort to expose and eliminate institutional prejudice and political-based "Charlatan Science" that has become a worldwide problem---one that is harming all science and Humanity-Earth. CSI views "space exploration" and "resourcing" as a key to humanity's survival due to humankind's accelerated rate of natural resource consumption that is quickly depleting our collective natural assets and futures. Part of the CSI/CLE goal is to help educate the global public to such realities. Imajilan™ is a full spectrum entertainment company tasked with producing all programming for the CLE, including the Live Events. Imajilan™ has teamed up with its subsidiary PlanetCityTV™ and strategic partners to ensure global recorded and Live content distribution. CLE and all its partners have designated a portion of net proceeds to benefit designated global charities. 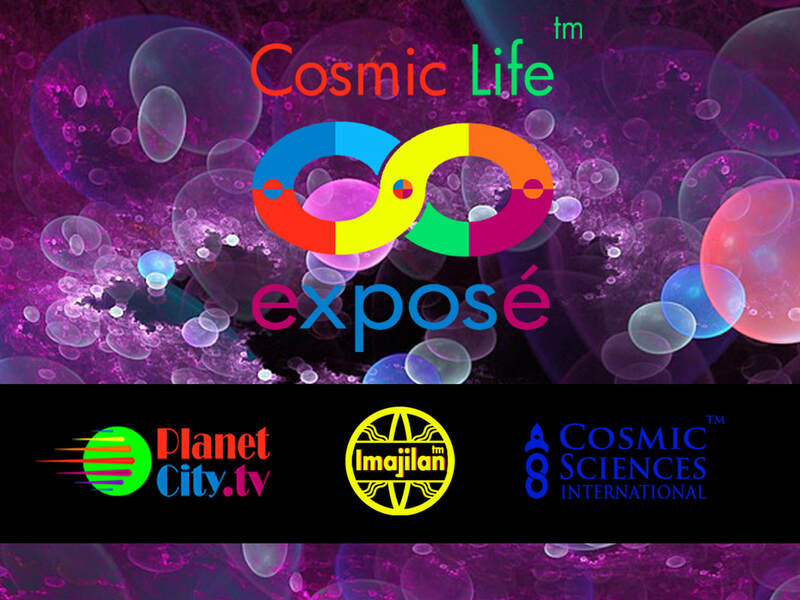 Cosmic Life Exposé™ (CLE) was created by Zelan Bonn, innovator, producer, writer and a cosmic life research expert of 3-decades. Mr. Bonn is one of the foremost experts on transmedia story telling (creator of the $200M landmark TV-transmedia series, "Winner's Universe", an independent project outside traditional TV network programming. The CLE project is a unique educational, entertainment and live event blend that incorporates a first-in-kind TV-transmedia story and distribution mix---another landmark first in a long line of innovative projects.